Is the Appalachian Trail overcrowded? The answer to this question is based heavily on dates and locations. If you start on Springer Mountain in March and hike north then, yes, the Appalachian Trail will seem crowded. You will not be walking single-file down the trail, but you will consistently pass other hikers throughout the day. If you hike past 5pm, it will be difficult to find a place to pitch your tent at a designated campsite, or spot to unroll your sleeping bag inside a shelter. When I visit The Great Smoky Mountain National Park—particularly on a holiday or weekend—the parking lot at Newfound Gap makes me feel agoraphobic. And it’s hard to find the trailhead amid people wandering around taking selfies. The first mile or two of the Appalachian Trail leading away from the Gap is also heavily trafficked, but beyond that the path becomes fairly peaceful. The Appalachian Trail is solitary, crowded, and everything in between. I have spent 24 hours on the Appalachian Trail without seeing another person and I have also felt suffocated by the overwhelming scent of international foods at the grills and picnic sites, which were occupied by thousands of recreationalists who escaped New York City to celebrate the fourth of July at Bear Mountain State Park. When I compare the Appalachian Trail to other footpaths, it holds it’s numbers extremely well. The AT hides people and decomposes poop like a champ. And the lush, green vegetation can reclaim and restore overuse areas very quickly. From my observations, the Appalachian Trail can support much higher numbers than many of the trails out West. On one hand, the increasing numbers on the Appalachian Trail don’t bother me. I find it easy to avoid the crowds with mobility and flexibility. I’m grateful more and more people are able to experience the intrinsic value and intangible rewards of hiking and spending time in nature. My understanding of the history and formation of the Appalachian Trail is that is was created as a respite and resource for the overworked urban population of the east coast. In that sense it’s serving it’s purpose. Plus, when I compare the Appalachian Trail to other footpaths, it holds its numbers extremely well. The AT hides people and decomposes poop like a champ. And the lush, green vegetation can reclaim and restore overuse areas very quickly. From my observations, the Appalachian Trail can support much higher numbers than many of the trails out West. On the other hand, it’s important to address the higher number of trail users and increased impact of the AT. If it is not self-regulated, it will result in more trail permits, user fees, reservations, and restrictions. Since my first hike on the Appalachian Trail in 2005, three permits have been introduced to thru-hikers: Baxter State Park, Shenandoah National Park, and the Smokies. The Smokies permit comes with a fee and the headache of trying to make campsite reservations ahead of time without being able to access the terrain, weather, or one’s personal ability. It also comes with the restriction of not being allowed to camp around AT shelters. If there is space remaining inside the shelter at dusk, a thru-hiker is forced to sleep on the wooden floorboards. Imagine setting up your tent, then taking it down because there is room in the shelter, and then being forced to set up your tent (again) because another hiker with a shelter reservation rolls in after dark. It if sounds confusing, cumbersome, and frustrating… it is. Permits, Fees, and Reservations can help limit physical impact but they also negatively affect the psyche of the backcountry and the ethos of outdoor recreation. I wonder how John Muir would have felt if he had to fax in a permit request six months to the date of his departure of and then wait for government employees and technology to determine whether or not he would gain access to the 210 mile stretch of trail through the Sierras that bears his name? The liberation I felt on my first Appalachian Trail thru hike came was due, in large part, to removing myself from the over-regulated, pre-planned, pitfalls of society and making daily mileage and camping decisions based on how I felt, the terrain, the weather, and the siren song of mountain lakes, trail magic, and mountain top sunsets. The answer to higher numbers and greater impact on the Appalachian Trail isn’t to federally regulate the trail but to self-regulate our impact as hikers. Here are eight steps that can help reduce impact and protect the Appalachian Trail from further land management restrictions and fees. 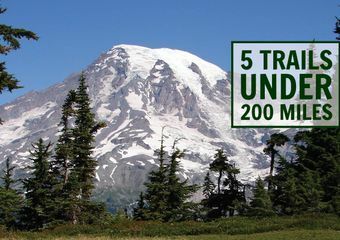 An understanding of Leave No Trace Principles (or similar minimal-impact philosophies) are important in interacting with and protecting the natural environment. Sharing these principles and stewardship methods with other hikers through kind and helpful discourse (and by personal example!) can help increase the influence and benefits of these practices. I have a few close friends who have been brought to tears by the PCT permitting process. Computer glitches and slow download speeds can impact a PCT hiker’s start date by weeks. I commend the Appalachian Trail Conservancy in giving hikers the opportunity to self-regulate their start dates. 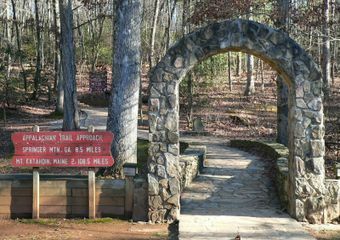 By using the voluntary thru hiker registry, a hiker can see how many individuals plan to start on her desired date before adding her name to the established list – or choosing a day with less names to disperse impact and increase the likelihood of finding campsites and shelters within the first days and weeks of the hike. 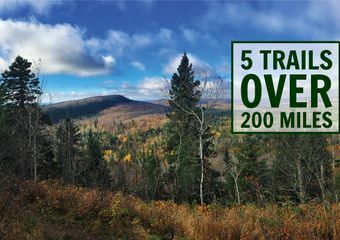 If you are an aspiring thru hiker then consider a SOBO hike, Flip-Flop, or pick alternative seasons for your upcoming adventure. 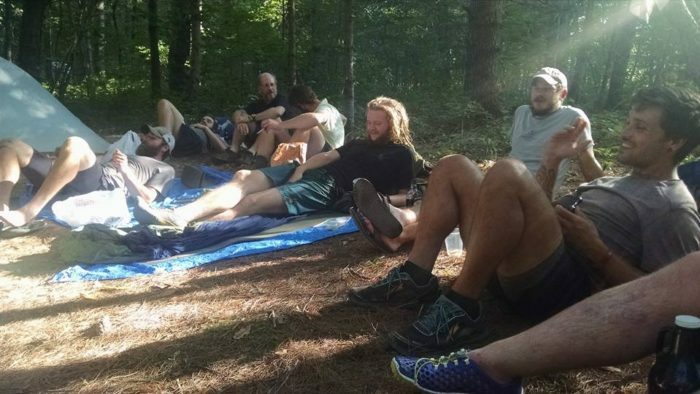 Group size regulations on the Appalachian Trail limit overnight parties to ten or less. So when your church youth group, Boy Scout platoon, or college outdoor club wants to take a backpacking trip, it is important to keep the numbers tight, consider the season, and head to a lesser traveled section of trail. If you hike the trail, consider learning how to swing a Pulaski, remove invasive exotics, or install a water bar. 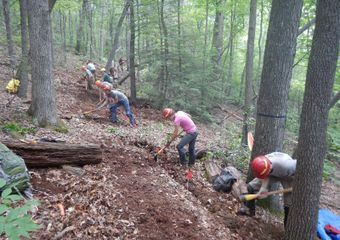 Trail maintenance is hard work that is both rewarding and fun. Proper maintenance can help control erosion and human impact. Plus it makes you realize the effort, countless hours, and continued dedication that goes into creating a trail and keeping it open. Not only does the ATC help implement and encourage of the steps listed above they also build community, support and infatuation to support the trail and they fight tirelessly to protect the path from external threats such as pipelines and encroaching development. For many individuals, hearing about the Appalachian Trail is what inspired them to thru-hike in the first place. But that doesn’t mean that the Appalachian Trail has to be your first thru-hike. Consider starting with a shorter long-distance trail to see if you even like multi-week backpacking. Or challenge yourself to experience a lesser-traveled long-distance trail. As much as the Appalachian Trail needs hikers to limit their impact, there are other National Scenic and Recreation Trails looking for some love and attention. The same thing goes for day hiking. Part of the appeal of the AT is that it is so user friendly, but by doing your research and finding a lesser-traveled trail in the same area, you will be treated to similar beauty and more solitude. Since its founding, the Appalachian Trail has been referred to as “the people’s path.” It is not the job of the National Park Service or Appalachian Trail Conservancy to protect the trail from the people. It is the job of the people to protect the trail’s physical and emotional landscape from misuse and imposed regulations. It is up to us not just to conserve the footpath, but to maintain the unbridled essence of the Appalachian Trail. A great summary of the situation, Jennifer! No conga lines in Mass yet, but there are overnight sites that never get a night off from late May to mid-August. Remember, the original AT was brought to you by volunteers–if everyone pitches in with thoughtful use, support for ATC, and continued volunteer commitment, we stand a chance to keep regulation limited and the Trail primarily free and open to all.